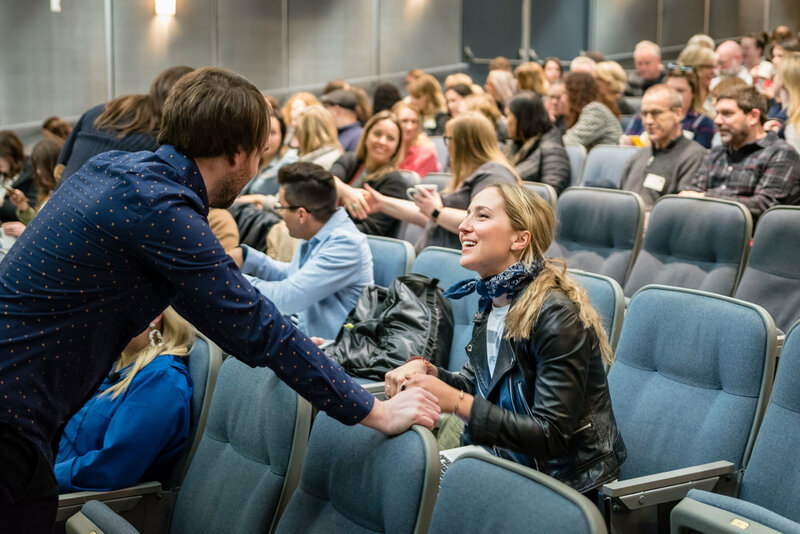 On Friday, March 23, Heibrid executed a live social media activation for CreativeMornings/Minneapolis at the Minneapolis College of Art and Design. 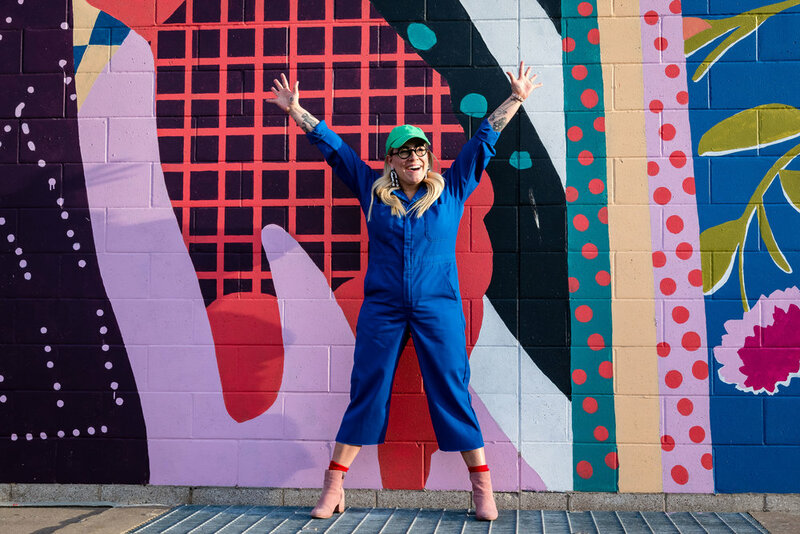 Presenting this month was Meg Lewis − a designer creating experiences for happy companies and a one-on-one educator creating happier lives for humans of all kinds. 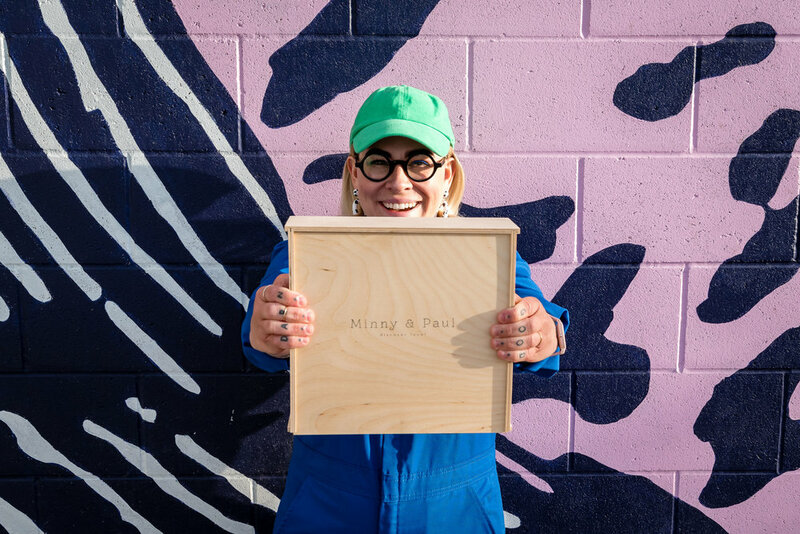 Formally known for her success as founder of Ghostly Ferns, a group of commercial artists, illustrators and product designers creating content for companies like Slack and Neighborly; co-founder of Fool Proof, a collaborative work space in Minneapolis, and owner of her personal brand, Darn Good, this energetic, courageous creative is so much more than just an artist. CreativeMornings is a place where people of all artistic backgrounds can come together to celebrate creativity, design, and collaboration. Each meeting begins with the CM manifesto, a declaration of our drive to always create work that matters, support one another in all endeavors, and promote an environment that leaves us feeling refreshed and inspired. Packed into a small auditorium on the Minneapolis College of Art and Design (MCAD) campus, some 400 people listened and laughed as Lewis inspired and awed us with her stories and lessons on how accepting yourself, professionally and personally, can not only help you create your best work but also make the world a happier, healthier place. Growing up, Meg was different. She never fit the mold of girly girl or athletic tomboy or even nerdy mathlete, falling somewhere awkwardly in between the unforgiving tween stereotypes. She was quirky, artistic, and just didn't feel like there was a place for her. Her role models were people like Mr. Bean, exaggerated versions of humans who made Meg further deviate from anything “standard issue”. Other kids made fun of her and picked on her. She just didn’t fit in. Meg simply wanted to be herself. A version of a girl she felt didn’t really exist. This left Meg feeling confused, sad, and lonely. Fast forward a decade and Meg was beginning her career as a young designer. But years of criticism had taken a toll on her confidence and rather than capitalizing on her unique style, Meg stepped into the field with caution. She didn’t believe people wanted to see her and her work for what it actually was. To compensate, she began to curate a very specific, filtered version of herself IRL and online. A version that she thought people wanted to see. Someone that was always introspective, cute, serious, and thoughtful. The qualities that social media said made you a good person. While Meg was and is all of those things, she’s also so much more. Instead of creating content for her dream companies, Meg was hired by brands that lacked passion in their own work. This resulted in boring projects, bad relationships, and multiple terminated contracts. After so many repeated blows, Meg knew she needed a change. But what? During her phase of sad work, Meg registered for a Zumba class at her local gym. After about a dozen failed attempts, she finally mustered up the courage to actually go. And what she discovered was absolutely pivotal to her career and happiness. What Meg found was a whole new world where the goal wasn’t to try and be perfect or fit the standards of what you were supposed to look liked, but to be exactly what you wanted to be in that moment. To simply have fun and enjoy. This thought was incredibly freeing to Meg. As she watched others in class, she slowly let go of the preconceived notion that people were going to judge her and just danced. She started to see her body and her thoughts in a new light and felt a small confidence begin to grow. From there on out, Meg made a radical shift in her life - professionally and personally. 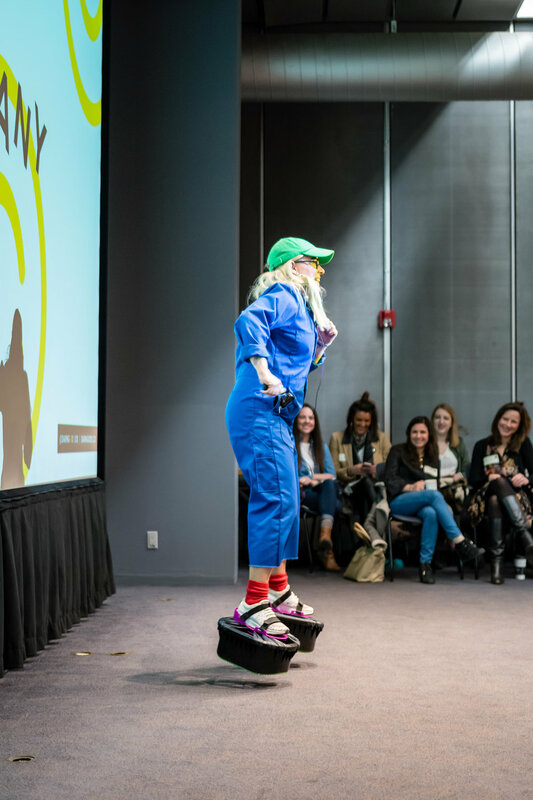 She fiercely embraced her quirky qualities and only invested in people, companies, and projects that fit her strengths and made her happy. And what happened? By just being herself, opportunities with her dream clients started flooding in. She couldn't believe it! People resonated with her quirkiness, valued her genuinity, and respected her work. They wanted her for exactly who she was. To help the audience understand how Meg found her purpose and used that as a guide when making choices in her career, she shared a few exploratory questions and encouraged us to ponder them ourselves. Q1: What’s my life's purpose? Meg’s Answer: To make the world a happier place. Owning multiple businesses can be challenging. You’re asked a lot of questions and constantly making decisions. It’s easy to deviate from your roots and forget the mission behind your work. That’s why determining your life’s purpose is so critical. For Meg, making the world a happier place is always the guiding force. If her work doesn’t align that core value, she shouldn’t be doing it. It makes it easy to say yes and to say no. Q2: What are my unique qualities? Meg’s Answer: I love change. Meg never wanted to be a specific kind of designer. She hated having to choose just one. If she was just a designer she could pivot on any project, being a UX designer for one project, a graphic designer for the next, or a product designer. She thrives on change and realized how much strength she had in that unique quality. Q3: What do you value? Meg’s Answer: Communities and shared spaces where people feel like they can be themselves. Although she loves some good ol’ “me time”, Meg is a classic extrovert. She loves to just hangout with people and is always the last one to leave the party. When she moved to Minneapolis from NYC, she had a hard time finding a community of friends. So, she made her own. 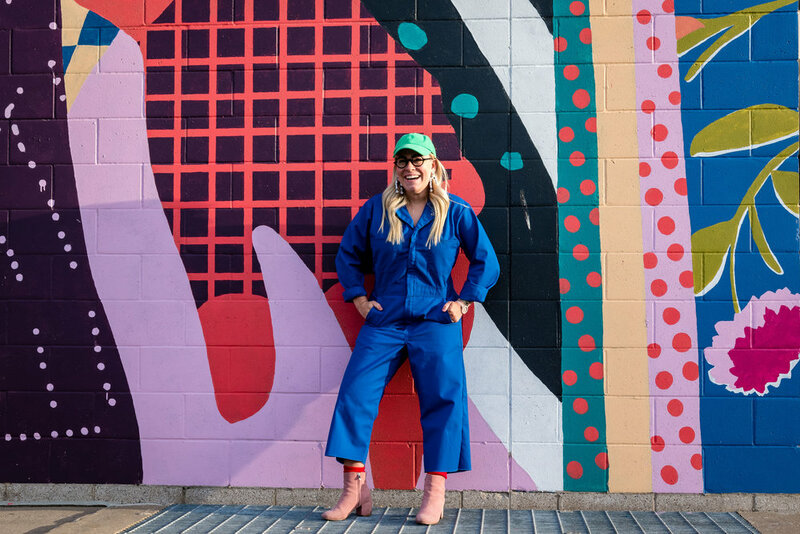 In this time, she found that a close knit community was extremely valuable to her and that creating spaces where friends could connect was part of her purpose.